In recent months, there has been a lot of discussion about the oversupply of luxury condos in Miami-Dade County, triggering developers to put some projects on hold. The strong dollar and struggling economies abroad, particularly in Latin America, have caused foreign buyers and investors to tighten their purse strings. 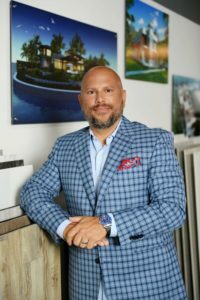 As a general contractor who started SPACiO Design Build during the last recession, I have learned to look ahead — past current trends — and adapt my business model to not only mitigate the impact of a market correction but also to take advantage of Miami’s fast-changing real estate market. This is a challenge that most businesses in the real estate industry — and in many other sectors — have to wrestle with. 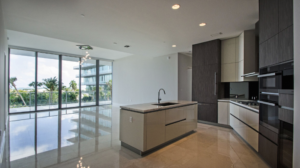 We started our business at the time when unsold condos in the Brickell area in the last cycle were being converted to rental units, as buyers had exited the market. When many people were seeing doom and gloom, we looked for opportunities amid a paralyzed real estate market. While we were able to grow the company with that business model, we knew we had to keep our eyes open looking for the next trends as the housing market was rapidly recovering. 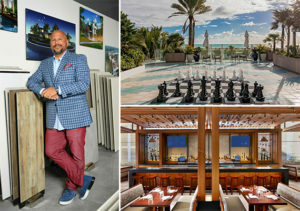 We began to see starchitects, high-end fashion designers and exclusive brands — unlike in past cycles — descend upon Miami to stand behind some of the region’s most ultra-luxury condo developments. Starchitects like Bjarke Ingles, Herzog & de Meuron and luxury brands such as Armani, Fendi and Porsche have entered the South Florida market to design and develop grandiose projects, attracting some of the world’s wealthiest people to buy a home in Miami. So, we decided to develop a niche in the marketplace, building out complex projects that required a high level of craftsmanship to match the new level of sophistication that the Miami architecture was beginning to experience. In this cycle, building and unit designs became more elaborate and complex, transforming the way a space is built out. The introduction of imported design-driven materials required SPACiO to invest in artisans that could turn the visions of these renowned designers and architects into reality. So, when the residential market was active, we focused on building out highly sophisticated projects like the Residences at Armani Casa sales center in Sunny Isles Beach and decorator-ready condos in newly built towers such as the Grove at Grand Bay, Oceana Bal Harbor and SLS Brickell. But what the recession taught us the most was not to put all our eggs in one basket. We learned to diversify our operations to include high-end commercial spaces, from hotels to restaurants and luxury retail stores. Part of the process was transferring skills we had developed in the residential market but, part of it, required teaching our staff new skills. The goal was to prepare our company to stay busy when the condo construction market slowed down. A significant part of our jobs comes from individual condo buyers who buy decorator-ready condos in recently completed luxury high-rises. 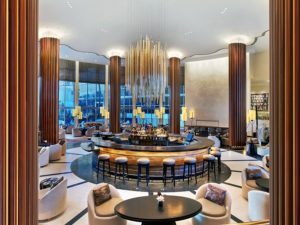 As we started diversifying our portfolio to include commercial properties, we’ve turned our attention to building out hotels and restaurants, such as Nobu Restaurant, Nobu Hotel, Marriott Stanton South Beach and others. Business owners who focus on cyclical industries, like the condo market, have to find the time to boost their networking efforts at the first signs of a market slowdown. It is important not only to develop new relationships, but more important, to leverage past and current connections. As times get harder, most likely, it will be your connections that will help you with referrals and new business. A majority of our clients have become my friends, and it was them who helped me launch my businesses at the height of the last recession. Investing time to grow your relationships now will pay dividends when the market loses steam. Staying top-of-mind with your clients starts now, not in six months or a year, when the market has turned. 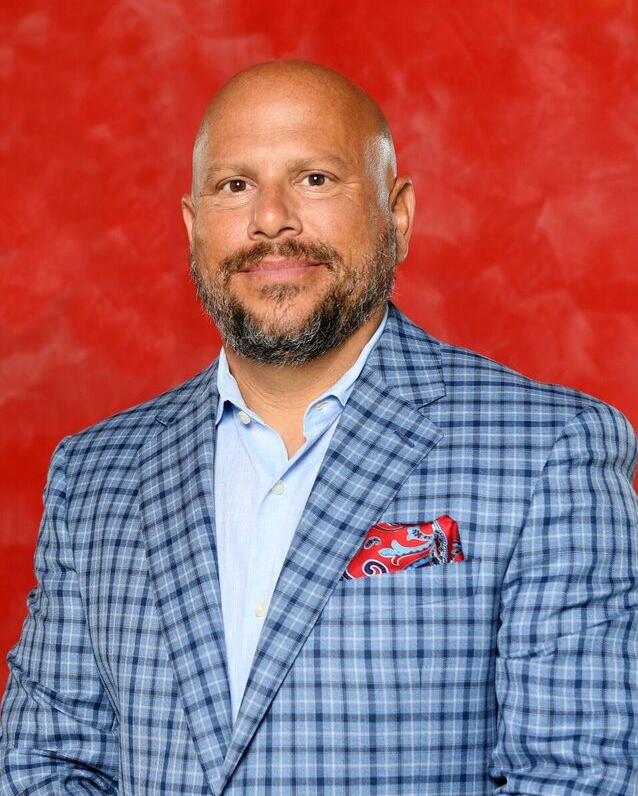 People always say that change is the one thing that you can count on, and that statement couldn’t be more true to describe Miami’s real estate market and many other cyclical sectors such as tourism and hospitality. It’s up to the small business owner to seek out and capitalize on the opportunities that arise in each stage of the cycle. 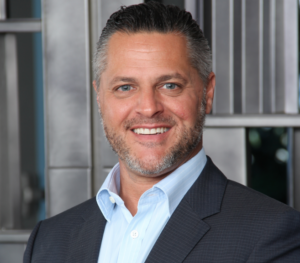 Alexander Wertheim is founder and president of Miami-based SPACiO Design Build, a full-service general contractor that is behind many commercial projcts, custom homes and condo build-outs in the region. He can be reached at alex@spaciodb.com. ▪ The views expressed here are those of the writer and not necessarily of The Miami Herald. ▪ Got a Broker’s View? Realtors may submit columns for Broker’s View of 700 words to to rclarke@MiamiHerald.com. This feature is intended primarily for residential brokers, who will be given preference, but pieces about commercial real estate and other aspects of the market will also be accepted as space allows. For true oenophiles, building a beautiful wine cellar isn’t just about aesthetics. Other features such as placement, security, temperature and humidity control plus different bottles’ shapes and sizes must be considered as well, according to Richard Rosenthal, a real estate agent at Halstead in Manhattan. Using a variety of materials ranging from wood to glass, some of the most impressive in-house wine rooms are works of art themselves. Here are a few gorgeous examples on the market right now. Behold, here’s a classic wine cellar decked out with a solid mahogany double door, dark tiled floors with metallic accents and custom plaster ceilings. Yet, don’t be mistaken: there’s much more to this 4,000-bottle dual zone, temperature-controlled wine cellar than its traditional details. With a tamper-proof, biometric entry security system programmed to accept the fingerprint of selected individuals, numeric pass codes and RFID bottle authentication, the most impressive feature here is the smart home technology. Actively monitoring who and when someone accesses the wine cellar, this security system can quickly notify the owner of entry and departure via email or text. What you can find in the spacious octagonal wine room at 18 Frick Drive are mahogany display cases and shelving lined from floor to ceiling, with some lined with rope lighting and others made to pull out for convenient access to bottles. Each room has its own cooling systems that can be used individually, giving the options of different climates or working together to keep the 4,000-bottle wine cellar uniformly chilled. Style meets function in this 50-square-foot, refrigerated wine room. Boasting an open, more transparent atmosphere, the climate-controlled room features a sleek, insulated glass enclosure, customized acrylic and thermal metal framing, which is powder-coated with a matte black finish to match the custom black finish on the racks. Sleek and sophisticated, this wine room at 321 Ocean, Unit 201 has a storage capacity of 440 bottles. Reflecting the best of modern and country styles, this stunning wine cellar is one of the biggest highlights of this $36.8-million house. (That’s saying a lot considering the 11,000 square-foot house comes along with a White 2016 Bentley Mulsanne!) Each bottle within the climate-controlled space is tastefully illuminated by backlit LED walls, combined with a rustic brick wall and arched ceiling to create an effortlessly chic look. This beautiful wine cellar at 357 West 17th Street holds about 500 bottles. Inside a six-acre European-style estate is an extremely well-manicured, 2,000-bottle wine cellar. Consisting of a high-velocity, self-contained cooling system that keeps the temperature at 59 degrees, the most impressive detail here is the barrel-vaulted, hand-laid Italian tile ceiling, which uses a centuries-old technique to ensure even weight distribution in the design. 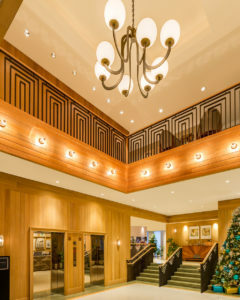 The ceiling’s installation of 795 Highcourt Road was so intricate that the owners flew in a specialist from Italy to complete the two-week process. Dubbed by many architectural enthusiasts as the American Versailles, this rare estate (sold furnished) has a wine cellar—with separate temperature controls for red and white wines—connected to a squared shape 27-by-27-foot wine room. While everything in the wine room is beautifully custom made, the pièce de résistance is certainly the wine wall displaying 326 bottles. Along with two blue chairs that once belonged to Sir Elton John, the entire combination works like a well-curated art installation many cultural aficionados would die for. The room’s design started with the purchase of a slab of a very unique blue marble which was used for the tabletops – then everything else was brought in and designed around that to match. The wine storage cabinets at the back have separate temperature controls run by two separate coolers, which allows for the proper storage or red and white wines. Over the last decade, Miami has become a forefront for cutting edge architecture in the world thanks to starchitects like Zaha Hadid, Arquitectonica and Bjarke Ingels. As a GC, it’s always an honor to leave our imprint on projects that are taking Miami’s skyline to the next level. In fact, the SPACiO team recently completed building out a unit in Grove at Grand Bay, the luxury condo tower in Coconut Grove described by its architect Bjarke Ingles as a Caribbean interpretation of modernism. With its twisting, dancing glass towers, it was by far one of the more unique projects we’ve ever worked on. All of the rooms in the unit were angled, making it extremely important for us to take the precise measurements in order to incorporate all of the different angles. For example, our client wanted to incorporate the large, structural columns into the interior design of their unit. The columns had a slight slant so we had to be very accurate with the marble installation. To incorporate the columns aesthetically, we advised the owner on the best color palate for the tile and wall paint tones. When you’re building out luxury units at iconic buildings like Grove at Grand Bay, it’s important to integrate your own personal touch in a way that doesn’t disrupt the natural feel and ambience of the building. The work we successfully carried out for our client did just that. It combined raw with high-end materials, including mixed raw concrete of the columns, high-end marble, glass and woodwork, giving the unit a natural feel. In addition to installing the columns and marble throughout the entire unit including on the walls of the powder bathroom, we also installed motorized solar and blackout blinds with channels to eliminate all light when they were closed. This is a great feature to have especially in Florida when the sun is always shining bright at 6 am. We installed a beautiful onyx mirrored glass backsplash in the kitchen, which helped magnify the light in the room and give the wall a classy appearance. We built the closets, which included drawers, shelving and hanging space in beige linen egger colors, giving the closet a modern and clean look. We installed unique light fixtures, bathroom mirrors and a custom laundry room with pure white quartz countertop and beige linen cabinetry. We hung Onyx mirrored glass in the foyer of the unit, which made the entrance really stand out. Last but not least, we also painted the entire unit. We’re looking forward to building out more units at the Grove at Grand Bay. It gives us the opportunity to truly show our level of craftsmanship. In this ongoing series, we ask executives, entrepreneurs and business leaders about mistakes that have shaped their business philosophy. 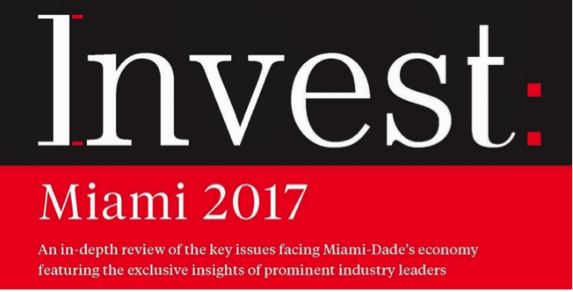 See the article featured in Crain’s Miami here. I was getting a lot of new business continuously and not focusing on my past clients as an added source of revenue. When I first got started, I was letting the business run me, instead of me running the business. One of my most common mistakes was that I would land a client, and this would happen especially with some of my bigger clients, and I would do the job and just move on after that. I wouldn’t necessarily continue maintaining a relationship with them, whether that meant through person-to-person contacts, e-mail marketing or regular follow-up phone calls and meetings to see how they were enjoying the new space. In the construction business, you’re only as good as your last job. In my space, you have huge general contracting firms and those guys have a pipeline for years of work. A firm our size, however, doesn’t have a tremendous pipeline, so you’re always working on trying to get that next job. Over dinner with other business partners one night, one of them had mentioned to me that it seemed like I was not focusing enough on my existing clients. He said that I needed to keep extracting them for additional work. Throughout the years I’ve learned and we’ve grown tremendously from taking our clients and extracting them for additional business. So if you’re not following up continuously and reminding them about who you are and what you do, they forget about you. It doesn’t just stop at traditional marketing initiatives. Whenever I meet a client I try and figure out what they like to do. For instance, I take my clients to play golf, dine with them, or take them fishing. We become friends. The majority of my clients that I have today are friends, because I do maintain monthly contact, whether that’s something as simple as a phone call. I try and stay on top of their business, and at the top of their mind, and that’s become a failsafe way to continue having lasting business relationships that allow my own business to grow. This approach, coupled with quality craftsmanship, has helped SPACiO grow from $9 million in 2014 to nearly $20 million in 2016. Follow SPACiO Design Build on Twitter @spaciodb. What demand is currently driving design services? Over the years, we have seen significant growth in residential demand. Developers can execute large-scale projects, as the cost per square foot in South Florida is still much less expensive to buyers than in many other major cities within the U.S. This region offers a competitive cost of living as well as an advantageous tax structure. 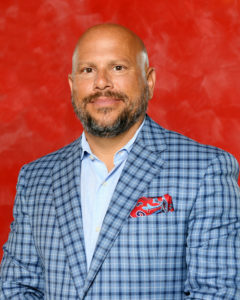 Growth in the residential segment has caused growth in the commercial segment as well, to the point that we are seeing more activity in the commercial real estate sector than in the residential market when it comes to construction in Miami. What are the main profile trends of the client base for contractor and design services in Miami? There was an important change in the profile of the clients after the crisis of 2009. We h ave started to see more Latin American clients reaching out to us to build-out their recently purchased high-end condos since then. This is expected to continue, as Miami is a melting pot for Latin Americans. However, in the past few years, we have begun to see an increase in the number of clients from the U.S. retaining our services, which makes me think the domestic market is coming back. Miami is attracting many retirees from the Northeast that are looking to take advantage of the lower cost of living. We have also seen an increase from international clients from other regions of the world such as Asia and Europe. Miami is growing rapidly and continuously. In 2017, we will continue to see such growth driven by international and American buyers. We are also going to keep seeing continuous repositioning of real estate properties. As we run out of developable land, developers are rapidly buying up existing Class B and Class C properties in up-and-coming neighborhoods to turn them into Class A properties, from hotels to retail space. As a full-service general contractor, we are seeing – and we will continue to see in 2017 – an increase in retail space construction. We are currently involved in building out Breitling and very soon Swarovski in Brickell City Centre. 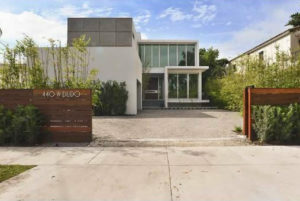 The demand is a direct result of Miami’s evolution as a high-end shopping and dining destination. Which sectors are expected to be the growth engines for design and contracting services the upcoming years? What would you identify as the current major challenges in construction? From a business perspective, one of the main challenges for the developers is making sure they hire the right architect and designer. Doing all the correct due diligence and pre-construction work is extremely important. Not many people realize the amount of work that goes into pre-construction and its importance. When done poorly, this ends up being a problem for developers as they execute their projects. The way to tackle this issue is by making sure their pre-construction work is handled by highly qualified professionals. Another challenge is finding qualified construction workers, especially when you are working on high-end projects. We make sure we take good care of our people because we see value in loyalty and having an A team that we can move from job to job. 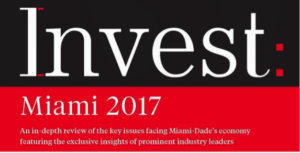 To see this published article and to learn more about Invest: Miami, a publication of Capital Analytics, please visit this link.